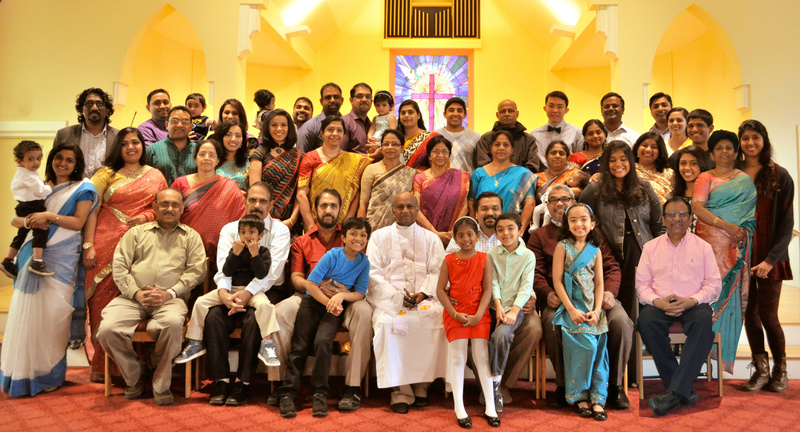 Our worship services, Sunday school classes, and programs are all conducted in English /Malayalam. We incorporate both the traditional style of worship as well as contemporary music and praise. We celebrate Holy Communion on alternate Sundays. Because this is the Lord's table, it is open to any person, regardless of denominational background, who has accepted Jesus Christ as his or her personal Savior and Lord and is baptized. The motto of CSI - "THAT THEY ALL MAY BE ONE" - is taken from John 17:21 in which Jesus Christ prayed for not only the church but for the whole world. It is the largest Protestant Church and second largest Christian denomination in India. It is one of the four United Churches in the Anglican Communion. CSI is in full communion with the Malankara Mar Thoma Syrian Church of India and the Church of North India (CNI). It is a member in the World Council of Churches and the National Council of Churches in India. The ordained ministry of the church conforms into a traditional pattern of threefold ministry of bishops, presbyters and deacons. The CSI church supports five theological colleges in India and all candidates for the ministerial work are trained in one of the five theological colleges. The CSI Synod Liturgical committee has developed different orders of worship for different occasions. The committee also produces different cycles of lectionaries for daily Bible readings and collects for communion services, which is followed by CSI churches all over the world. Ascension CSI Church families are centered in Christ. We invite everyone who seeks God to come and worship with us. You will find a comfortable place in our community where all individuals and families can grow and discover God's plan in their lives.